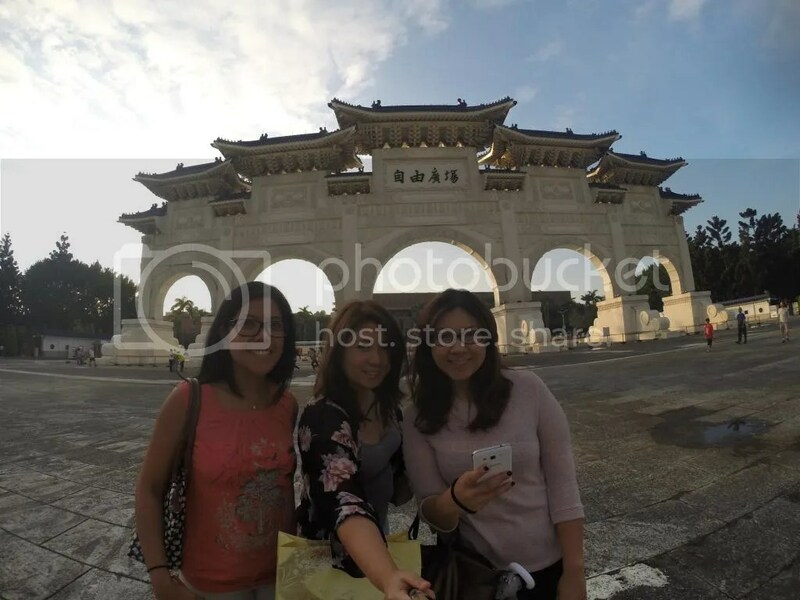 One would think that after our food walking tours, out of town adventures, night market hopping and temple runs, we would have already exhausted what Taiwan had to offer. 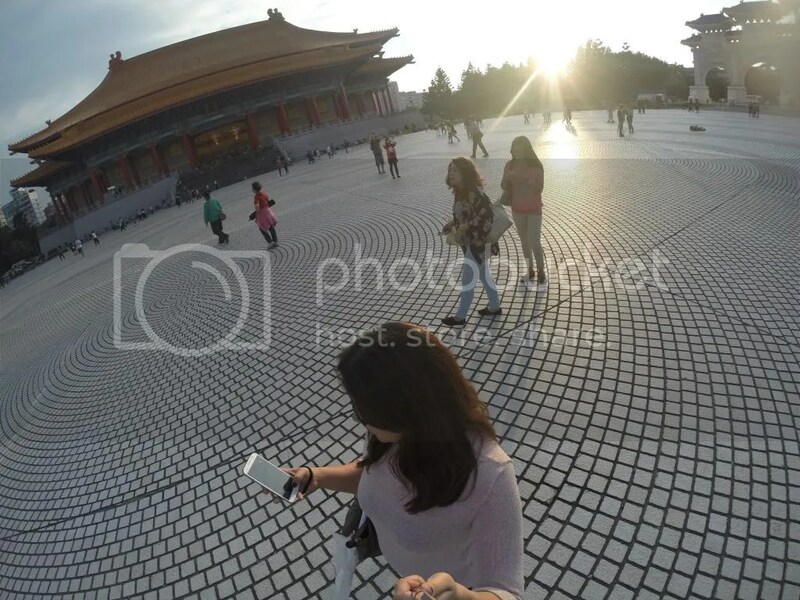 But there were still memorials — places that immortalize Taiwan’s visionaries and colorful history. 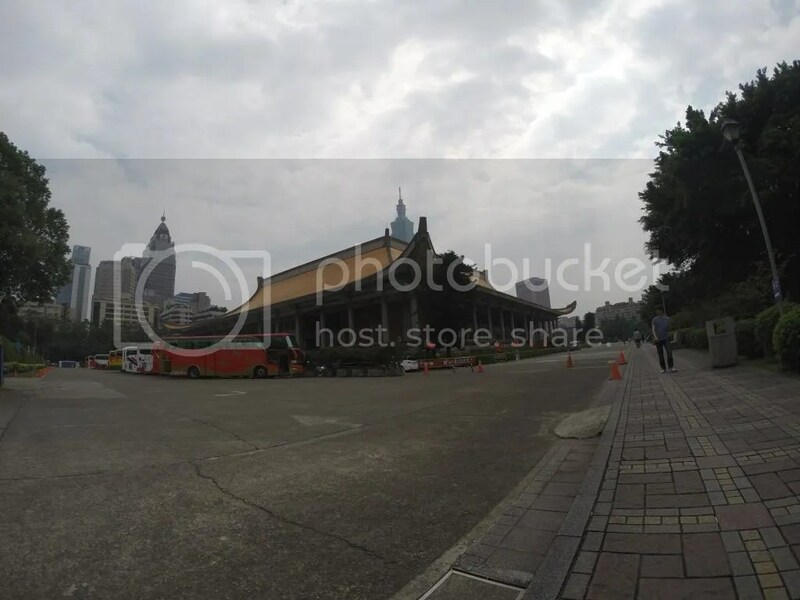 The Liberty Square is the most visited memorial at Taiwan. 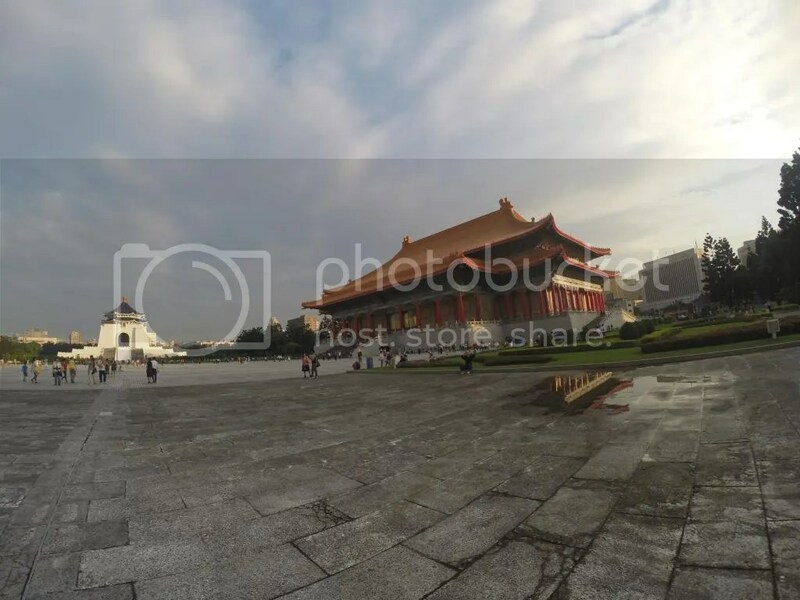 It is home to three popular structures which are the Chiang Kai Shek Memorial, the National Theater and the National Concert Hall. Integrity, Loyalty and Piety —- civic virtues assigned to the west, north and south areas of the square. Look for the gates, where you’ll find these virtues inscribed above. The National Theater and the National Concert Hall are known to be the first major modern performing arts facilities in Asia. They are “twins”, mirroring one another at the north and south ends of the square. These venues host events all through out the year, not just for local artists but for international ones too. 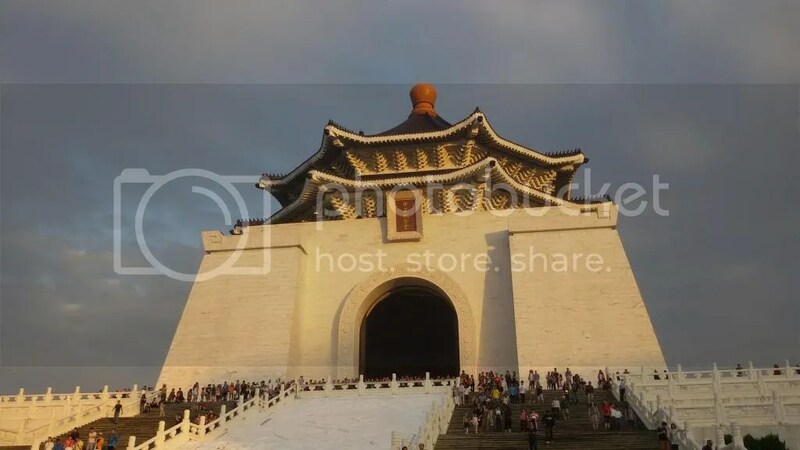 The Chiang Kai Shek (CKS) Memorial is a massive building built to immortalize the leader of the Kuomintan. It is made out of marble and topped with a blue-tiled pagoda-style roof. The view from the top was definitely rewarding most especially after climbing its steep staircase. I can’t help but notice that symbolisms are always incorporated to Taiwan’s architecture. For CKS memorial, its roofing features 8 corners, a reference to the lucky number 8 that signifies fortune and abundance. Meanwhile, its staircases are made up of 89 steps, exact to the number of years CKS has lived. 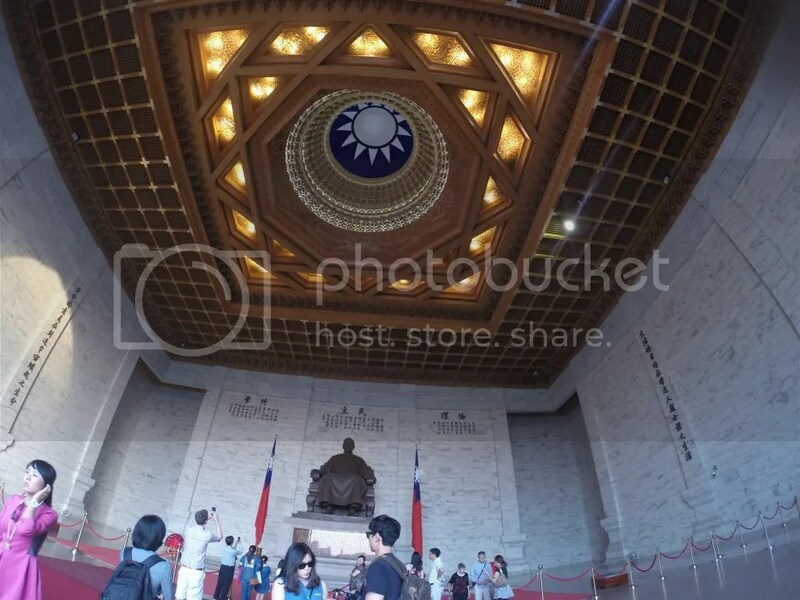 The use of colors are white, blue and red which are the very same colors of the Taiwanese flag and those associated with the values of freedom, brotherhood and equality. 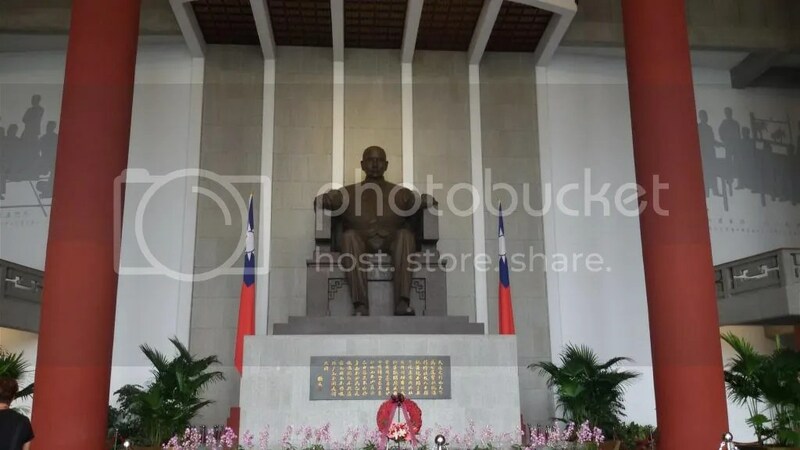 In the main hall, one would find a great bronze statue of Chiang Kai Shek sitting on a chair. 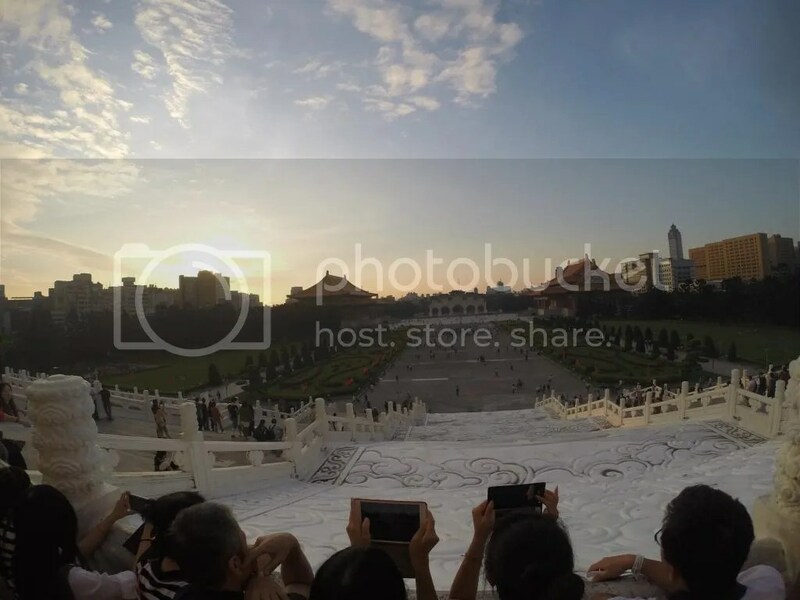 Just above the statue is the “Kuomintang” which means “The Sun Is Always Shining”. 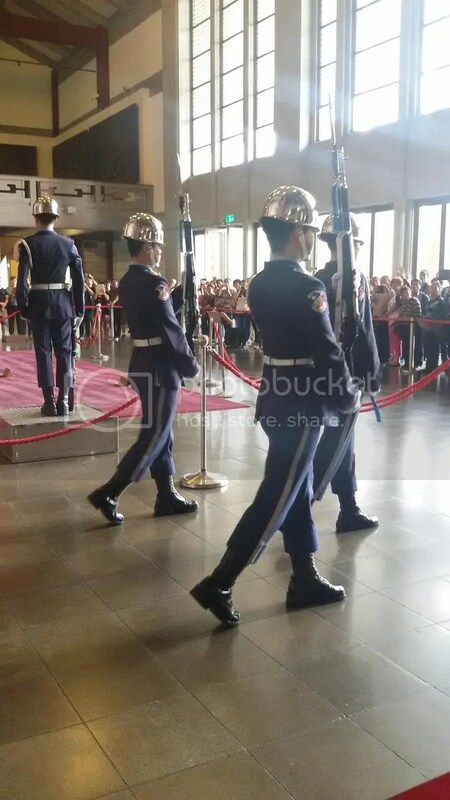 With soldiers guarding his side and his political values of “Ethics”, “Democracy” and “Science” inscribed behind him, one can’t help but admire the reverence expressed toward this great leader. The best place to be acquainted with ROC’s history and development would be at the library and museum found below. With exhibits highlighting the life and career of CKS, one can admire his memorabilia such as pictures, letters, uniforms, medals and even furniture. This 1955 Cadillac, a four-door, seven-seater limousine with bullet proof glass, will definitely catch the eye of every Filipino visitor. 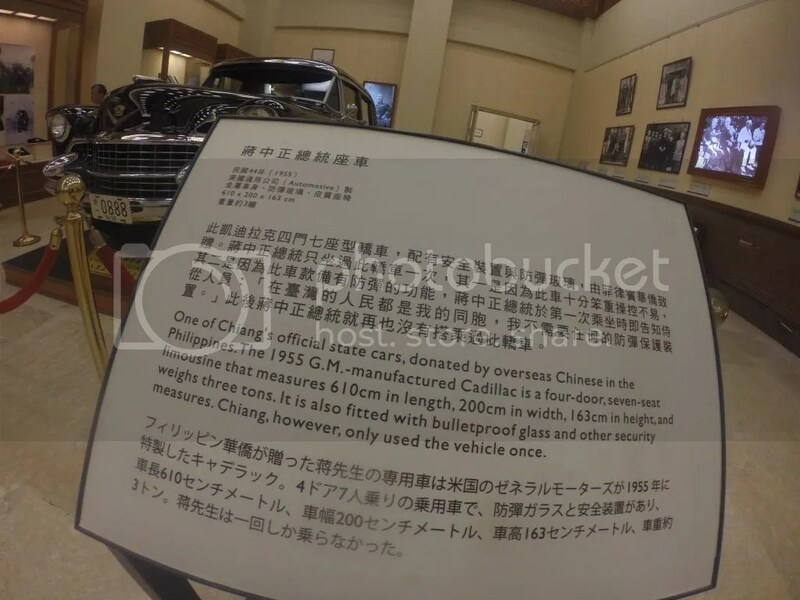 Although only used once, this car was donated by the Chinese who were living in the Philippines at that time. 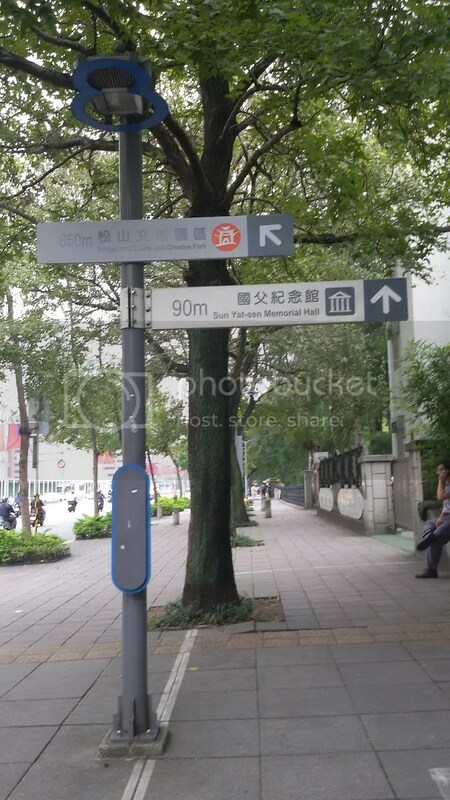 Another memorial to visit would be Dr. Sun Yat Sen’s Memorial which is just a 90 meter walk from the train. 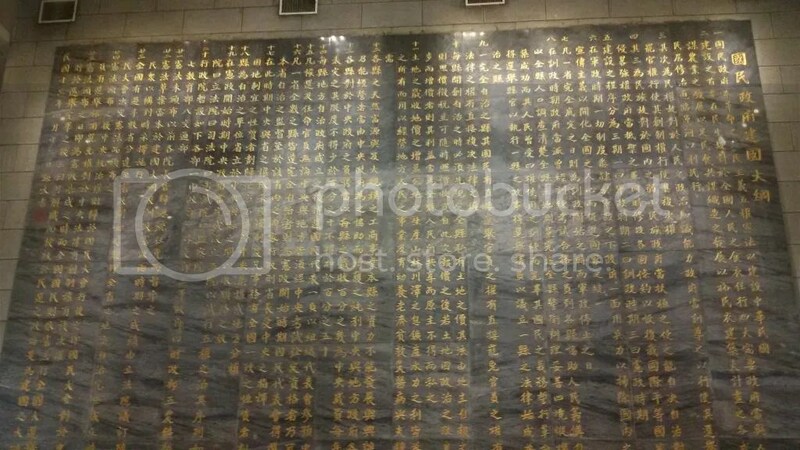 The memorial is found in the heart of Chung-shan Park. Although the area is just about half the size of the Liberty Square, its grounds are impressive with wide gardens, historical walls, statues and the Lake Cui or “Emerald Pond”. Being the “Father of the Nation”, Dr. Sun Yat-Sen also has his own huge statue that is guarded by soldiers. Tourists gather around this area to wait for the hourly change of guards. 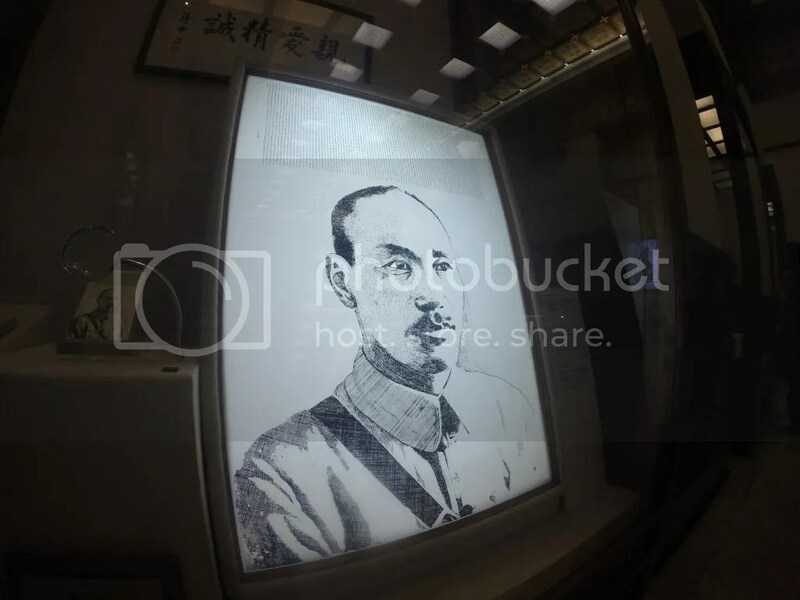 Besides the grand statue, you will find displays of Sun’s life and the revolution he led within the memorial. 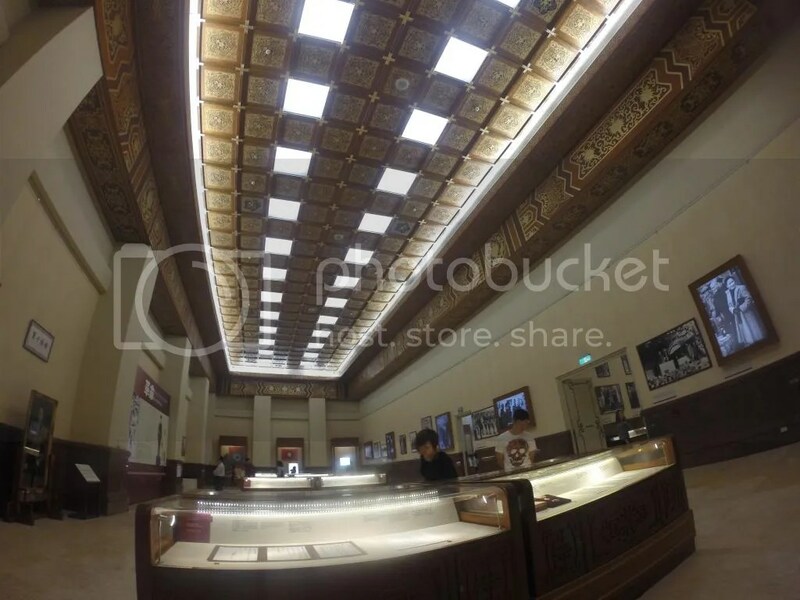 There are several educational rooms, a multi-media theater, lecture halls and even a library. The area filled with information was so vast that at one point, I couldn’t finish the exhibit I was reading because I was scared to be alone in the dark hall.